kt literary » Blog Archive » SOLD! 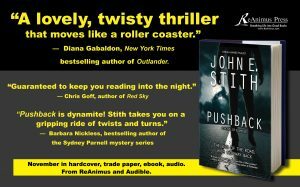 Audio rights to PUSHBACK by John E. Stith! 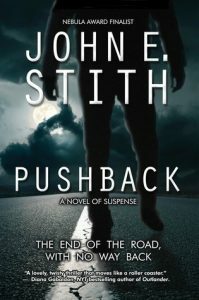 On November 1, 2018, John E. Stith’s PUSHBACK will celebrate its book release. Congratulation to John on today’s announcement that PUSHBACK will also be available in audiobook! Nebula Award nominee John Stith’s PUSHBACK, in which a man doesn’t recognize anyone at his high school reunion and realizes that someone is coming after him for more than just his memories, to Ryan McGavin at Audible, for publication in November 2018, by Sara Megibow at KT Literary. ← SOLD! Congrats to Simon Jimenez and THE VANISHED BIRDS!